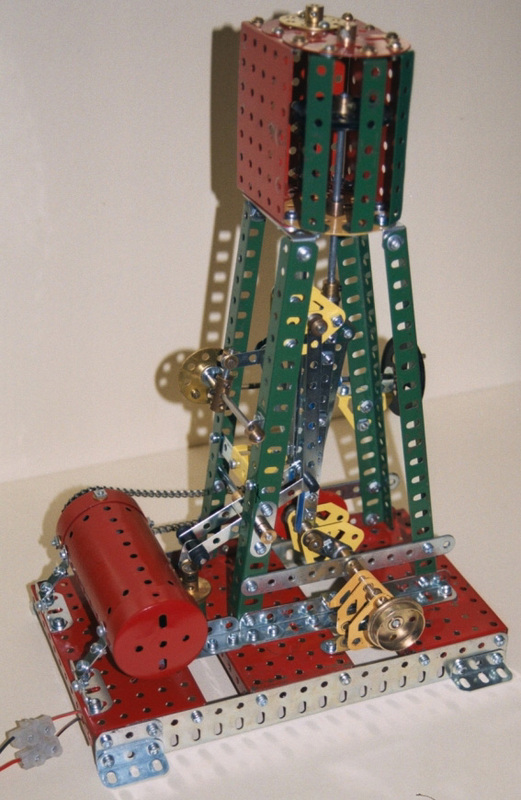 I built the model using many parts not available over 80 years ago but decided not to fill in cylinder casing with flexible plates as I wanted to retain the feel and demonstration purpose of the old model. I used narrow strips with plastic five hole spacers between to the connecting rod to give a nice solid feel to them. I also replaced many of the standard width strips with narrow strips. 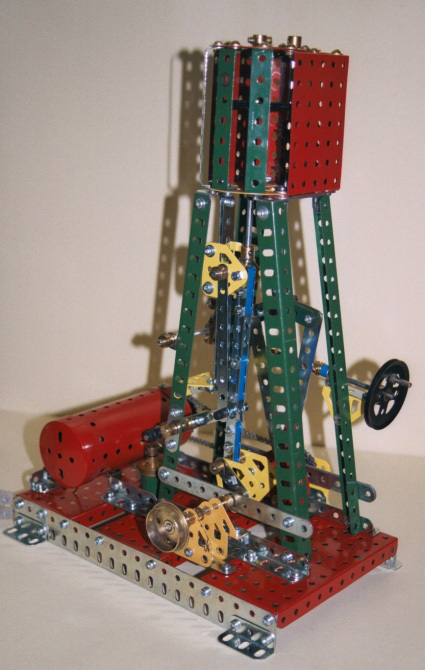 After careful alignment of the crank shaft components, the model will run very well. I find cranks part number 62 one of least satisfactory of Meccano parts if you fit a slightly inaccurately made one (lots seem to be) on the most perfect axle you can have problems! Inside the boiler part 162 (used to represent the steam condenser) is a small Swiss Escap 12 volt motor mounted on the boiler end. This drives the crank shaft through a connecting chain drive. 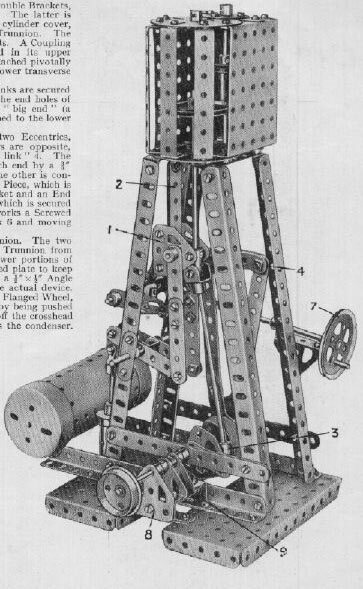 An illustration from the original manual showing the engine is shown below as a comparison with my own version. 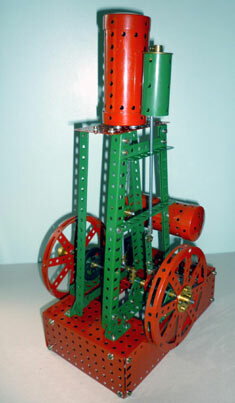 In 2013 I built another but simpler version of this engine, published in the January 1946 Meccano Magazine. This can be viewed by clinking on the image below.